No, it isn't a boat per se, but it is a very cool watercraft. 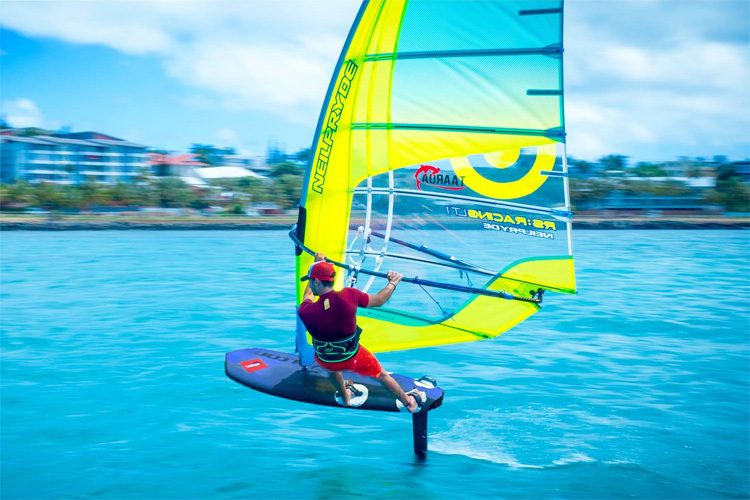 A windsurf board with a hydrofoil called the RS:X Convertible made by Neilpryde. This thing has clocked in a top speed of 25 knots (about 29mph) in 10-15 knot winds and apparently be able to compete in the new windsurfing category at the 2024 olympics. Off the water, powered by the wind, at 25 kts has got to be a blast.